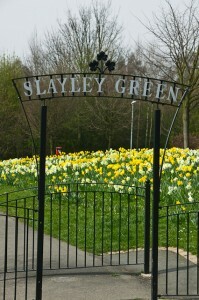 Slayley Green in Barlborough usually bursts into flower in March with the thousands of daffodils planted by Friends of Barlborough volunteers as part of the Marie Curie Field of Hope bulb planting project. This year the Spring warmth is much delayed and we are well into April before the Green has come alive. The project was made possible through the generosity of Dobbies Garden Centre. 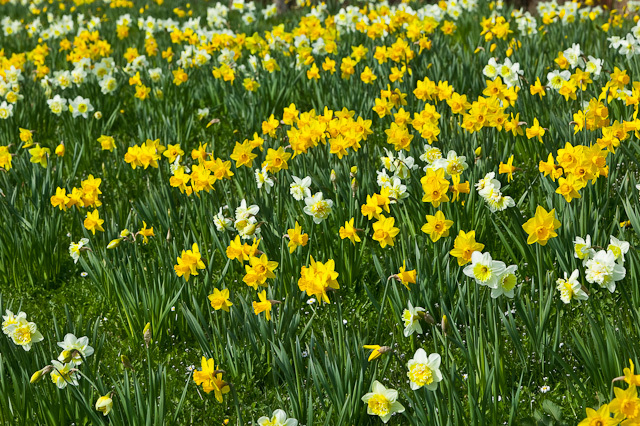 “We were delighted to be able to donate 6,000 daffodil bulbs to the local community of Barlborough and to continue the tradition of previous years. 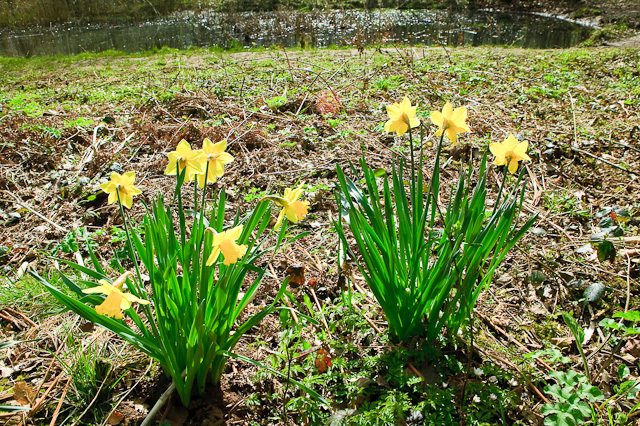 The daffodils are looking nice in Whitwell Woods, but it is a very crisp and cold day! We had a beautiful walk this morning, through Clumber Park. The river and bridge over it made a very nice picture. Kairen was fretting that I was going to fall in. Given my track record with doing just that she was relieved that I only paddled to get the photograph. The bridge was the original approach to Clumber Park prior to the development of the famous lime tree avenue. Those who run Clumber Park say they know it was built in the 1760s. 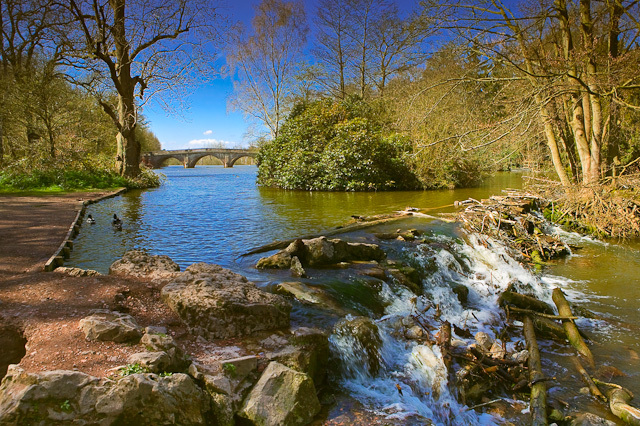 It was built in a classical style over the River Poulter, which was dammed to form the famous Clumber Park lake. 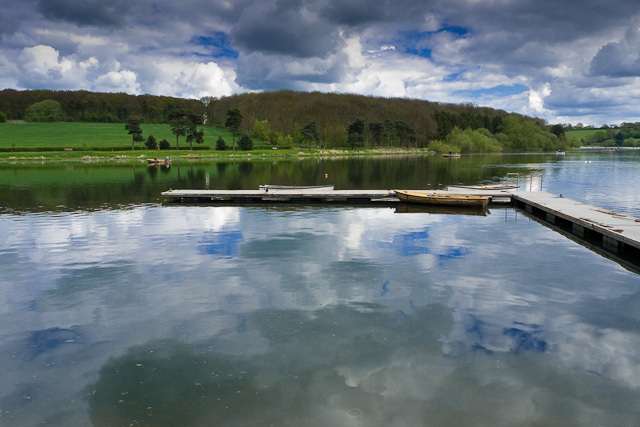 We have a diary from a visitor who came in 1762 and we know work was underway then,” says Simon Chesters-Thompson, regional curator for the National Trust who run the park. The bridge has survived for more than 200 years but Simon says it still faces modern day threats. “Many of the balustrades have been replaced due to people driving through them on a regular basis. We had a ‘long lunch’today and spotted this beautiful garden on the way home. 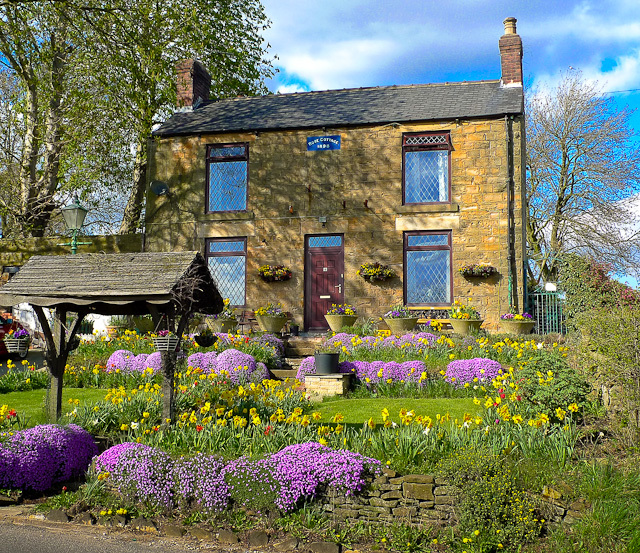 Rose Cottage was built in 1898 and the garden is a picture postcard English country garden. 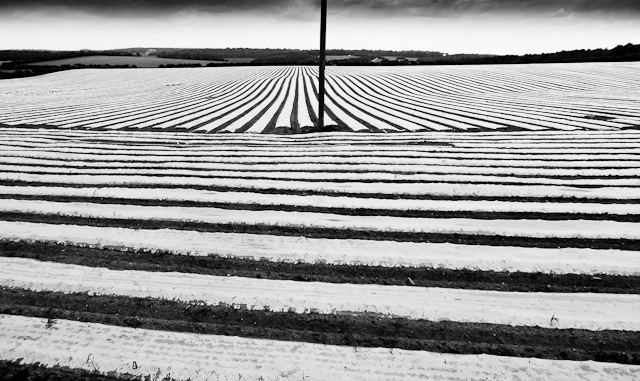 There are a number of fields nearby that have these plastic cloches arranged in quite intriguing patterns. 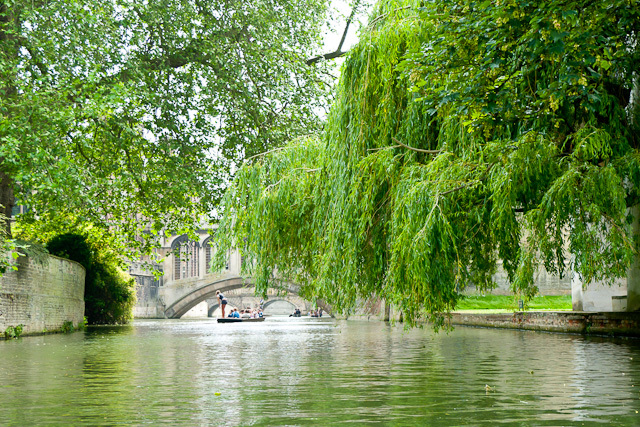 We are near Cambridge for the week-end and treated to a punt on the River Cam to view ”The Backs’ . The Backs is an area to the east of Queen’s Road in the city of Cambridge, England, where several colleges of the University of Cambridge back on to the River Cam, their grounds covering both banks of the river. The name “the Backs” refers to the backs of the colleges.